Analyzing national-level data, WRI’s new paper, Shifting Currents: Opportunities for Low-Carbon Electric Cities in the Global South, finds 34 low- and middle-income and emerging market countries in Latin America, Asia and Africa where electrification is a good strategy today. These countries contain 105 cities with populations greater than 1 million. Although each city is different, electrifying these could have an outsized impact on curbing climate change. We also found 38 countries where electrification may not make sense today, containing 256 cities with populations greater than 1 million. Urban access to electricity, or the percentage of people with a household electricity connection in urban areas. We suggest a threshold of 90 percent to be considered a good candidate for electrification. Below this threshold, electrification of fossil fuel-consuming devices may worsen inequities in access to services like heating, lighting and transport. Cities where many citizens lack power may want to focus on using limited resources to increase electricity access rather than diverting funds to electrification, especially since electric cars, stoves and other devices tend to be more expensive than traditional ones. Carbon intensity of electricity supply, or how clean or dirty the national electricity grid is. Our research suggests that this should be less than 600 metric tons of carbon dioxide equivalent per gigawatt hour (tCO2e/GWh). Above this threshold, where a grid is largely powered by fossil fuels like coal and natural gas, shifting to greater use of electricity would only increase CO2 emissions. These two criteria are not always mutually exclusive. For example, distributed renewables, such as solar photovoltaics, can provide both electricity access and allow people to shift away from kerosene lighting. While there are other reasons for electrification ‒ namely to reduce local air pollution ‒ these two criteria are critical in determining where electrification makes the most sense. Based on these two criteria, electrification is a good strategy to pursue today in all South American countries and some countries in the Middle East, North Africa and Asia, such as Egypt, Nepal, Pakistan, Philippines, Thailand, and Sri Lanka. These countries include major cities like Bangkok, Bogotá, Cairo, Colombo, Karachi, Kathmandu, Manila and Montevideo. Only three of sub-Saharan Africa’s major cities with populations greater than 1 million are in countries suitable for electrification: Accra, Ghana; Addis Ababa, Ethiopia; and Kumasi, Ghana. In South and East Asia, only 26 out of 202 cities with more than 1 million people are in countries that are good candidates. Cities are already responsible for about 70 percent of the world’s greenhouse gas emissions. The battle to rein in global warming and decarbonize our economies will be won or lost on city streets. Cities with high energy access and a relatively clean grid should aggressively electrify, substituting fossil fuels with electricity, while continuing to decarbonize their power supplies. As the draw on the electricity grid increases with electrification, they’ll also need to make sure that they have adequate electricity supplies. Just replacing all gasoline-powered vehicles with electric ones could increase electricity demand by about 20 percent on average in the world’s 23 largest cities. Cities with high energy access but a dirty grid should prioritize reducing the carbon intensity of their existing power supplies, while making sure the right enabling conditions are in place for electrification, such as fiscal and regulatory policies to encourage eventual uptake of electric vehicles and devices. Cities with cleaner but more limited electricity access should focus on rapidly increasing power supply from renewable sources and improving energy efficiency, while pursuing electrification only in communities with high levels of energy access. Lastly, high-polluting cities with limited energy access should focus on expanding access and would need major investments in renewable power before pursuing electrification. A range of economic policy initiatives can accelerate the transition to low-carbon electric cities. The upfront investment cost associated with low-carbon electricity generation and electric devices is the biggest economic barrier. 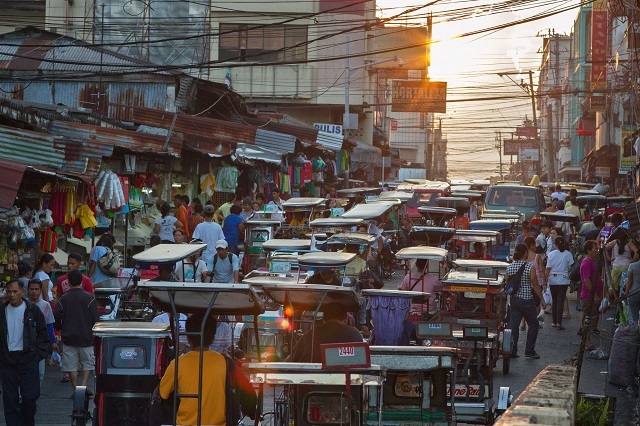 Incentives can help, such as subsidies for electric rickshaws, buses and cars, or electric stoves, LED (light emitting diode) lighting, and solar lanterns, and through the provision of electric charging stations. Legal and regulatory environments need to broadly support the electrification process by, for example, changing building codes and practices to increase the use of heat pumps in buildings. Other steps include mandating zero-emission vehicles in municipal fleets, blending public and private finance to address risk perceptions, and encouraging manufacturers to develop new business models, such as battery leasing. While electrification is an essential long-term strategy for the decarbonization of cities, decision-makers must exercise caution as to where it is deployed now. The impact of electrification on both emissions and equity needs to be at the forefront. Michael Westphal is a Senior Associate for WRI’s Sustainable Finance Center, WRI Ross Center for Sustainable Cities, and the New Climate Economy. Christopher Kennedy is Professor and Chair of the Department of Civil Engineering at the University of Victoria, British Columbia, Canada. Iain D. Stewart is a Postdoctoral Fellow in the Global Cities Institute at the University of Toronto.